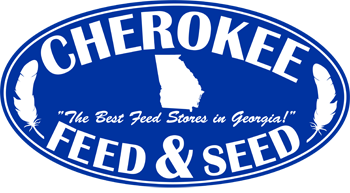 Please join us on Saturday, April 13, 2019, from 8 am to 4 pm at our Cherokee Feed & Seed store in Gainesville, Georgia. We’ll have once-a-year pricing on all equine feed and stall shavings. This is the chance to save 20% on your next years’ feed bill. Buy four bags feed and get one FREE! Come by and SAVE BIG! It’s our way of saying thank you for being a loyal customer. Now it’s time to show our appreciation to you. Starting at 8 a.m. and running all day until 4 p.m, we’ll be serving up exclusive Customer Appreciation Day pricing, prizes and the best tasting FREE BBQ around. You can take advantage of special pricing by purchasing all of your feed on April 13th, but not have to take it all with you. Pick it up at the Gainesville store when you need it, or have it delivered to your farm at your schedule. (Regular farm delivery charge applies.) Special pricing is available on completed purchases made only at the Gainesville store on April 13, 2019. VENDORS GALORE – THE BEST, FREE BBQ AROUND! Meet our vendors and get your questions answered directly from the experts. Rain or shine. We look forward to seeing you at our 2019 Gainesville Customer Appreciation Day on April 13th! Get those taxes done so you can have some fun. This entry was posted on Wednesday, February 6th, 2019 at 4:11 pm	and is filed under Events, Featured, Front Page, Horse, Specials. You can follow any responses to this entry through the RSS 2.0 feed. Both comments and pings are currently closed.